“Elizabeth, you need to write a book” was the statement that got me started. Knowing I had a lot to say, but with no skill, nor knowledge about how to get started, I opened my word processor to a blank sheet and simply tapped the keyboard to type out “Chapter One.” Spilling my guts on the subsequent pages has kept me busy for the past twelve months. Dedicating a large portion of each workday has made this process seem like a part time job. Yet again, employment with no paycheck. I thank Jesus for an encouraging and supportive husband. During some of my work weeks, thoughts and memories flowed freely filling the empty pages at a rapid rate. On other days, it was a chore to string the sentences together that conveyed my deepest sentiments. Wrangled with how to express the depths of emotions and the gravity of what I felt created frustration and pulsating urges to abandon my writing assignment. “David, I can’t do this. I don’t know the right words to use. This is going to take forever. Trying to write this book is a waste of time. I should just go back to work.” were excuses I raised to try and wiggle out of my responsibility. I wasn’t prepared for the time, nor committment it would take. I had no idea what it would look like when it was done, nor how long it would take. The uncertainty of it all made it extremely difficult to remain dedicated. When I thought to far ahead, about what was left to accomplish, I welcomed anxiety into my workplace. Thankfully, during the first few months I honed another method of attack. Simply put, I pressed in and wrote the next word, organized the next paragraph, pulled together the next message and brought each chapter to a close. As I reviewed the scenes in my life and recaptured what I remembered, along with what I thought memorable, I often wondered, “Who is going to be interested in what I have to say? 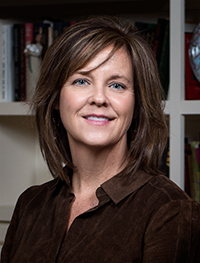 About what happened to me?” When doubt about what I was doing crept from the corners of my desk, Martina McBride’s lyrics from “Anyway” would inspire me to type away …. These words resonated with me and with what I was attempting. Martina’s musical message chased away my skepticism and thwarted my attempts to jump ship. Instead, I placed myself in her lyrical story and belted out my own battlesong, ” Whether anybody ever reads it, write it anyway.” Applying the freeing concept helped me focus and remain at my writing station. Who knows what the final outcome will be? Will a publisher deem my story worthy to print? Or, will what I have written only sit on my bookshelf? I don’t know the answer to that. All I know to do is try, trust and take the next step. It is a good thing I wasn’t aware of the hours of isolation that would be required to complete this task. Needless to say, I may have never started. Early on, I discovered it was essential to detach myself from the hustle and bustle of everyday life to get this job done. Too many distractions, invitations and temptations came my way when I was socially engaged with the world. In order to write about a personal experience, you have to research yourself. The only way I could hear and remain connected to that inward reflection was to withdraw to my inner self. I came to undestand that (somewhat) cutting myself off from society was the answer, but with that came stretchs of silence. 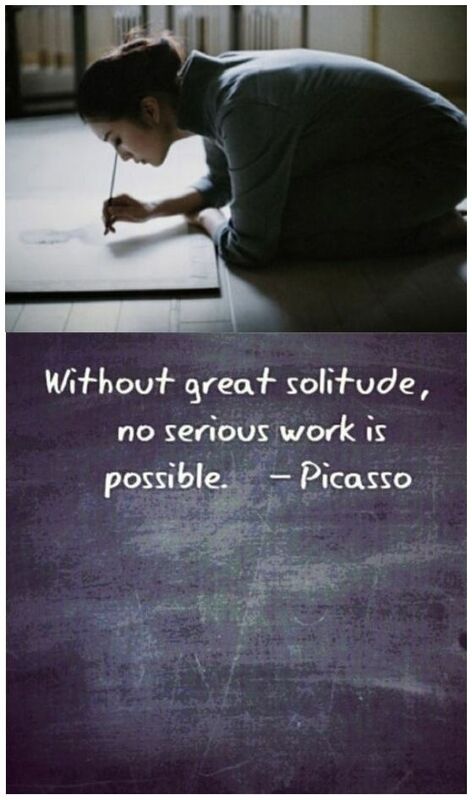 When loneliness set in, I pondered Picasso’s words of wisdom and went back to work. Now, that my heart and soul is poured out on a stack of papers, I am gearing up for the next step in this process. Experienced authors have told me it is more grueling than writing the book. “Well, a Book Proposal, a Query letter, and a public platform will need to be developed before you can even think about approaching a publisher.” they forewarn. Continuing with their intimidating tirade, they suggest “Oh you might need to hire an agent and its best to have an editor read your work.” Adding to the upcoming angst, I don’t know if what I have written even makes sense. A year later, I can’t remember what I wrote! As they speak of these roadblocks and I entertain judgement by others, my attitude tends to take a tumble, which makes me to want to stop in my tracks and throw in the towel. “I don’t have to be an author. I don’t need this to be a published book.” I cry out to try and careen myself off course. “Oh no, Elizabeth. Go get started. This is simply the next step.” David will counter and steer me on course again. I know he is right. Marching back to my office, I cringe and push against the work that is ahead. But Jesus said, “No, go home to your family, and tell them everything the Lord has done for you and how merciful he has been.” So the man started off to visit the Ten Towns of that region and began to proclaim the great things Jesus had done for him; and everyone was amazed at what he told them. It is when I fix my focus on the cross that life begins to make sense. After breathing in the righteous reason for this project, I am reminded of my original objective-to simply record my personal journey from ache to alleluia. Glorifying God during my walk to restoration was effortless, as he was my trusted companion and mighty miracle worker along the way. His continued presence allows me to reflect and reopen a painful season in my life. 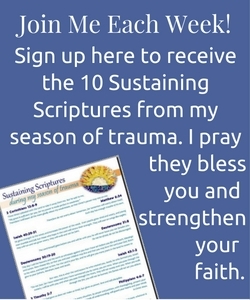 In the hopes that intimately sharing my experience with Him will show others a holy way of recovery. As well, bring light and life to all the days ahead. Leaning into this humbled reason for writing, I am strengthened to take the next step. If allowing others to edit what I have written, writing a lengthy detailed report aimed at captivating a publisher and highlighting the unique aspects of my story and networking with the public to build an author’s persona are what is required in today’s world to spread that message, then for the sake of Christ, I’m going to give it my best shot. Alas, I have come accustomed to sitting in the quiet, allowing for long patches of stillness. Making it easier to hear the Holy Spirit and search through my own thoughts. Engaging in an attempt to sell by literary work and myself (publishers expect one to have a “following”, basically a built in audience prior to publishing their work!!!!! Lord you will need to lead the way on this one!!!!! ) are not activities that I look forward to. They are extremely out of my comfort zone. However, I’m going to continue to be led by the Lord, following the inspiration that first got me started and step out on that limber limb because I know that’s where the fruit is. This next step is going to be a stretch for someone like me. As I reach forward inching away from what feels safe, I remind myself who has brought me to this point. Surely, He will accompany me the rest of the way. 14 Chapters, 67,573 words later, I am reinspired and ready for the red ink! Absolutely beautiful! Keep stepping forward. I’m so proud of you! Beautiful! I wish you great success with moving forward with your book. Regardless of what lies ahead, it is obvious that you do have great skills and have already accomplished a wonderful thing! Thank you Carrie! I appreciate your encouragement. Thanks so much Karen. Your cheers and continued support make such a difference.